Senior Kaitlin King of St. Thomas Aquinas--younger sister of Florida State's Meghan King--pitched a complete game shutout in the 1-0 win over Gainesville. The 27th Roger Jones Kissimmee Klassic kicked off in Florida on Thursday, albeit without co-founder Roger Jones, who passed away in September of 2018 after a battle with cancer. Last April, the tournament was renamed to honor him, just five months before he passed away. The first Klassic, held in 1993, had only three teams. Now 32 fill two brackets, with most ranked in the Top 10 in their respective classification. The field of 32 is tougher than ever, with top contenders in the state using the tournament to prep for the upcoming Florida district battles, which are just a month away. Bracket play began at 2 pm EST on Thursday and continues Friday starting at 1 pm Florida-time with semi-finals hitting the diamond at 1 pm. on Saturday and the championship that evening at 7 pm. University came back from a 2-0 deficit to score four runs in the fifth and two in the sixth to win. Pitcher Kailyn Dozier gave up only one earned run in seven innings. Pembroke Pines Charter is #40 in this week's Extra Elite Eighty high school rankings. 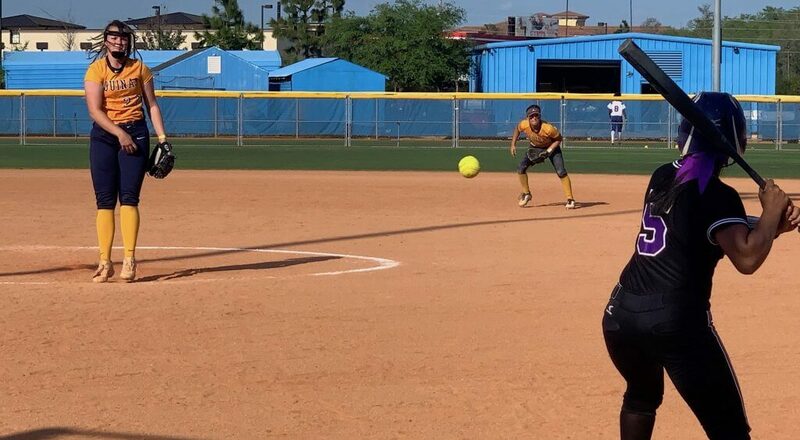 Kaitlin King, whose big sister is Florida State star pitcher Meghan, outdueled Alyssa Humphrey, the Player and Pitcher of the Year, as Humphrey struck out 11 to King’s six, but gave up a sixth inning RBI single to 1B Madison Granberry for the game’s only run. Pitcher and leadoff batter Jaden Williamson of Bartow, ranked #5 in the state, no-hit #12 Lake Brantley and also went 1-for-3 with a run scored. Bartow is #38 in this week's Extra Elite Eighty high school rankings. Douglas’ Jessie Magee picked up the win, giving up only one hit in 4 2/3rd innings and also went 2-for-2 with an RBI single in the third. Academy won the 2A division last year but Alabama commit and USA Softball Jr. National team pitcher suffered shoulder issues and missed several games in the circle including this one (although she has eight home runs on the year and went 1-for-3 playing first base on Thursday).